Now that the Galaxy S9 is widely available, Samsung is turning its attention to this year's Note device. The Note7 was launched in August of 2016, and the Note8 went on sale in September 2017. 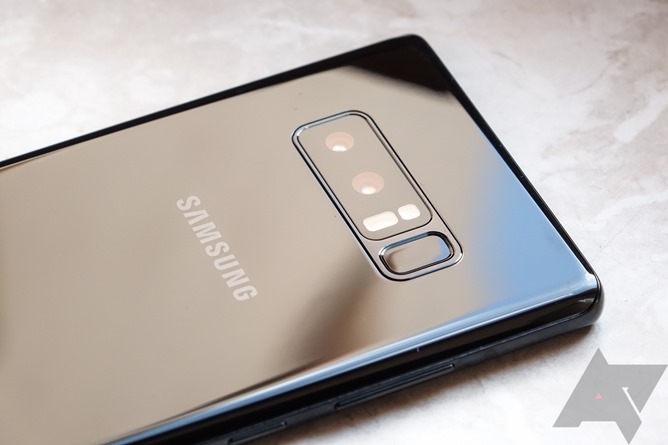 According to a new report from Bloomberg, Samsung is targeting an August launch for the Note9, with an improved camera as the main selling point. Bloomberg claims the new phone will likely be called the Note9, and will feature an upgraded Snapdragon processor (presumably the SD845) in some markets. None of that is really surprising, but the report also says Samsung is heavily focused on improving the camera. An upgraded camera was also the S9's highlight feature - David called it "the single biggest upgrade Samsung has bestowed upon the Galaxy S9" in our review. Unfortunately, Bloomberg didn't confirm if the Note9 will have an in-display fingerprint sensor, as was rumored earlier this year. With last year's Note8 costing nearly $1,000 (depending on where you bought it from), you might want to start saving up now.